More free patterns coming at you tonight!! Emma and I have been out of commission lately because of our dear sweet new babies, but we wanted to bring forth a few quick, free patterns for you to make before the holidays! We released The Velvet Scrunchie Pattern tonight and we wanted to add these cute little wreaths as well! 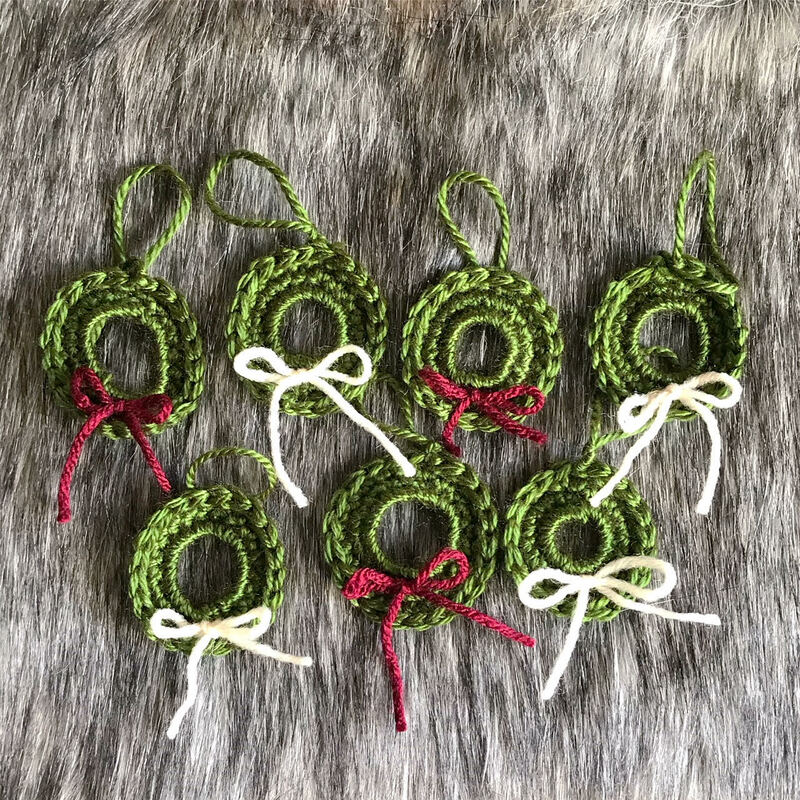 These are super basic and fun to make, perfect for a little tree decor or cute stocking stuffers!! <3 This pattern is super versatile and can be done with any yarn size with a hook size to match! -Scrap yarn of any color. Single Crochet 20 stitches into the center of the Magic Ring. Tighten the Magic Ring by pulling the tail. Do not slip stitch or chain, but simply single crochet into the first single crochet and crochet around the circle. Single crochet around once more, for a total of 3 rows of single crochet. Slip stitch and finish off. Use your yarn needle and an opposing color of scrap yarn to create your bow. Use your yarn needle and the same color of scrap yarn as your wreath to create a loop from which to hang your wreath! !